Niksa was very friendly and open. Unfortunately, he lived through a very difficult time in Croatia's history. He shared his stories with us and we found them to be fascinating. We learned so much about the history of all of Yugoslavia on this tour. We enjoyed our day very much. Niksa was most puntual, awaiting as we disembarked to the tour. And we had an outstanding day with him! His explanations of everything, history, geography, etc., were fascinating, and his dominance of English was excellent. We felt very lucky to have gotten him for our tour, and we will never forget his kindness and professionalism. He deserves even more than 5 stars!! BOOK THIS TOUR!! An absolutely wonderful experience. Not only did we see both the old city and the countryside, we even got to make a quick stop at the beach! The tour was customized to our interests. Also, great communication prior to our arrival. One of the most enjoyable parts was conversing with Niksa, sharing ideas and opinions, and most especially learning about the history of Dubrovnik. I give him the highest recommendation. Niksa was a most gracious and thorough host. We spent the day on tour from Dubrovnik to Mostar, Bosnia. His knowledge of history, the Balkan conflict, and gentle demeanor we're enjoyed by all (6) of us! Niksa is informative, friendly and concerned for us.His description of Croatian history was very interesting.I started feeling poorly as the tour progressed and Niksa indicated that if I needed medical attention he had a relative who was a nurse. He also followed up with us the next day to see how I felt.The tour included Ston and several wineries, and we added an oyster tasting which included the oyster "farmer" taking us out on his boat and harvesting oysters which he shucked for us and provided wine. Niksa is awesome. Very personable. He and his daughter Anna gave us a fabulous tour of Dubrovnik, the old town and even into the adjoining city of Catvat beach. His knowledge of his country was vast. He made it very personal with his experience with the wars and took us to local areas you don't see on a regular cruise tour. I would highly recommend Niksa and Anna for your tour of Dubrovnik. Niksa arrived early at the hotel and was very polite and friendly. From the start of the tour it was clear he had a wealth of knowledge to impart. By the end of the tour I felt I had a good understanding of the recent political events. He was the perfect guide. Polite, helpful, eager to please and always ready to increase our knowledge. Choose Niksa as your guide and you will not be dissapointed. If there was a way to give this tour a 6 star review, I would do so. Niksa and his daughter, Ana, gave us an excellent tour of Dubrovnik and the surrounding area. His knowledge and professionalism plus his passion for his city and country were most evident. He answered any question we had and the highlight was being able to have a delicious lunch in a local restaurant that was far from the tourist area. A visit to a local winery was also included. I would highly recommend Niksa for your next visit. Nick and his daughter were great and very knowledgeable. Wonderful tour and city! Thanks for a memorable day!! Niksa is by far the most thorough guide we have EVER had on our travels.....the icing on the cake was having his daughter Ana with us for part of the day. This team is incredible, going out of their way to give us the most enjoyable taste of beautiful Dubrovnik we could ever have imagined. Our lunch was sensational, the venues beautiful and the explanations were fantastic, Dubrovnik should be on everyone's bucket lists! Bravo Niksa and we loved having you with us! TOUR GUIDE RESPONSE: Dear Karen and Michael, simply, but most sincerely, Thank you! One of the best private tours we have taken. Knowledgeable , very friendly. We learned so much and got a first hand up close look at the city and surrounding area. Top notch. Highly recommend. Going to Mostar can be a challenge during the summer months because MANY tourists line up at the border & it can take hours to cross. However, Niksa was on top of all the info. He checked border crossings to suggest a different route & we agreed. As a result, we only spent about 15 minutes crossing into Bosnia. Niksa was very nice, informative & engaged us in great conversation. Being in a car w/someone all day can be nerve wrecking but Nik made it a great experience! Highly recommend Niksa! Niksa is an absolutely exceptional tour guide. We had the pleasure of Niksa taking us from Dubrovnik to Split via Mostar in Bosnia. He provided excellent information and commentary along the way, all with a great sensor of humour. He has a lovely caring, helpful nature. I would strongly recommend Niksa for any tour/transfer you require. Best guides ever. Niksa and his daughter, Ana, are both very knowledgeable and are happy to tailor the tour to whatever you would like to do. We took a walking tour with Ana and learned a lot about Croatia's past and present. We were then turned over to Niksa (in his very modern and nice van) who took us outside of Dubrovnik and gave us more information. The tour lasted about 6 hours and we highly recommend them. Much better than being with a large group!! Niksa and Ana were amazing guides who brought Dubrovnik alive. They were so knowledgable about the historical significance of Dubrovnik and its Old City, but also gave us added insight about their experiences during the Balkan War and about contemporary Croatian life. Both spoke excellent English, were charming, and adjusted the itinerary to fit our needs. It was a fabulous experience! These tour guides are true gems. Amazing, amazing!!!!!! Niksa gave us an amazing tour. We were able to experience the Old Town. Since he grow up there he was able to show us the most amazing spots in the old town, we had time to shop and even have some wine tasting at an amazing restaurant inside the gorgeous Old Town. After all that we took us to see the most beautiful sites to see the Old town from the mountains. we give Niksa 10 star. we had every little time in the city and we feel like we saw it all!!!! It was perfect. I wish I could give this 100 stars! We were a group of 5 including three teens and we ALL said it was of the top three days of our entire trip. The tour of the inside of the city was great, but what really blew us away was the outside of the city driving trip with Niksa and his enthusiasm. I could have gone another few hours listening to the history of Croatia and seeing the sights. We stopped at a local restaurant for the most amazing meal that we wouldn't be able to find on our own. Thank you!! This tour was like being shown around by an old friend. Excellent guide and we learnt a lot about the parts of Bosnia we visited and about Croatia and how things are after such a divisive war. Modified the route so that we didn't cover anything we planned to do ourselves. A great day out and can only suggest anyone wanting a guide chooses Niksa as he does a great job and really seems to care about his clients. What a wealth of information on the history of Bosnia and Croatia. Niksa is a well read history buff on the climate of politics and religion through the decades in both countries. We enjoyed our tour and had a fantastic local lunch. Wear super comfortable shoes with traction as the the ancient cobblestones in the town of Mostar and on the bridge are slick. Very nice comfortable van. Niksa was a great tour guide, generous with his time and effort to show us the very best of the country he's so proud of. He went to great lengths to set up a fantastic lunch in a forested cafe, with a private table over a river outside of Cavtat. Niksa took us to out of the way non-touristy places we otherwise would have missed. He provided us with information that came in handy when he was not with us. We talked about Croatia and life like old friends just reconnecting. Hope to see him again soon! Travel with Niksa! He's the best, most accommodating guide we've ever had. Very knowledgeable and he has a beautiful, clean, comfortable ride. Niksa gave us an exceptionally fine tour from Dubrovnik to the Bay of Kotor in Montenegro. He kept up a steady, conversational stream of insightful information about the area, the lives of its people, and the changes of the last decades. We especially appreciated hearing his personal experiences and perspectives on the war and recovery. He accommodated our time constraints by designing our trip to fit in as many key sights as possible. We recommend Niksa very highly as he is a guide to the area. Niksa is very knowledgeable in history and culture of the region. He is very considerate of the needs of the group members. As foreign visitors, we feel very comfortable that we had the best guided tour for the route. Very informative. Just not enough time. Niksa's intimate knowledge concerning Croatia/ Dubrovnik requires a longer time period. He showed us the perfect vantage points to see Dubrovnik as in the "postcard photos", and secluded small villages. Ivona was our tour guide in the old town. Her passion for the history was quite evident. Very informative. Tour highly recommended. Friendly, communicative guide whose English was very good and local knowledge comprehensive. We spent a lovely day on the oysters and wine tour, lots of fabulous stops at places of interest. Would highly recommend this trip especially escaping Dubrovnik for a day and seeing the real Croatia. Wow, this was an excellent day of exploring from Dubrovnic to Mostar.Our guide,Niksa was so informative about past and present. Our party of 5 felt very fortunate to talk about past history and current life with a person who spoke clear English.He drove us to places of unusual and interesting locations where we would not have known about otherwise.He was entertaining, informative and a very safe driver. The group all says a 5/5 day! Niksa and Ana are a great team- they have so many interesting stories to tell about Dubrovnik. We saw areas in Dubrovnik that you will not discover without a private tour. They are very informative and accommodating. We totally enjoyed the old town and Cavstat. We love Dubrovnik! Thank you Niksa and Ana- will visit again for more. We spent a great day touring Dubrovnik and the Croatian coast to Budva and Cavtat. We had a nice walking tour of Dubrovnik from Ivona and Niksa showed us many interesting places on our drive around Croatia. I would certainly use them again and would recommend them to anyone who wants an outstanding tour of Dubrovnik and the Croatian coast. We had a fantastic experience. Our trip to Mostar and onward to Split was made thoroughly enjoyable because of Mr Niksa Benic. Highly professional, great insight, full of local knowledge and experience, very patient, extremely polite and kind. Really made our trip. Possibly the best guide we have had in many, many travels. Highly recommended. Excellent guide with great local knowledge. Our guide and his daughter provided a thorough and friendly picture of local life and customs. We enjoyed the most wonderful tour with Niksa and his daughter Ana during our day in beautiful Dubrovnik. We came in by cruise ship and this was the perfect way to spend our day. Niksa was a wonderful guide - our tour was flexible and informative and overall such a great day for everyone in our family!! Dubrovnik was the highlight of our trip. Ana gave us a brilliant tour of the old town of Dubrovnik and Niksa was absolutely stellar. We highly recommend booking! 5 stars! Thank you so much. Niksa was fantastic! Super knowledgeable and friendly. He picked us up on time and he was flexible with all our requests. Communication with him was great and very informative throughout the day, very passionate about his job! I would definitely recommend him and will definitely look for him again next time we visit Croatia. We had an excellent tour with Niksa and Ana, his daughter. We were met at the dock for our cruise ship by Niksa who transported us through the local area to panoramic viewpoints up Mt Srdj for some great photo opportunities. Ana then guided us through the Old Town and up along the wall. They make a fabulous team. Hearing them share their individual experiences living there was most helpful and provided great insight. We had a fabulous time. Very highly recommended!! Thanks. There are not enough words to express what a wonderful tour of Dubrovnik and the surrounding areas. Niksa and his daughter Anna are a joy to be with and provided professional, kind, and accommodating services. Niksa did an outstanding job converting our 11 hour layover between our Croatian cruise and departure flight into a multi-country odyssey covering historical sites and gastronomical delights. His knowledge of the area brought us through lightly used border crossings and his familiarity of the towns put us in the best restaurants. Because we were covering from Dubrovnik to Mostar to Ston, we had extensive time in his comfortable vehicle engaging in a back and forth about a variety of topics. Great visit. Our tour of Dubrovnik with Niksa was the highlight of our vacation. He was informative, kind, and open. We are a family of 6 and Niksa made the experience valuable for all of us. You should not miss this tour if you visit Dubrovnik. We had such an amazing time with Niksa. He went above and beyond what we expected. My two daughters (15 and 19) LOVED every minute as much as my husband and I did. If you are considering this tour or any tour with Niksa, do not hesitate. Schedule your tour today! It was one of the best days of our 19 trip around Europe!!! Very disappointing tour to the islands. The boat offered in the confirmed reservation was not available, the replacement boat was very basic and uncomfortable, the boat driver uncommunicative and the guide added nothing other than making lunch reservation and booking taxis during the day. Similar tours available locally for about half the price we paid. The itinerary into Montenegro, ferry to Tivat, visit in Kotor was lovely. A comfortable Mercedes minivan and a very good bus driver - Johnnie. We could have done without the Kotot tour guide who gave a monologue - a walk around by ourselves would have been more fun. We stopped for lunch in Stari Mlini just outside Kotor and although the place was idyllic, we had the most unpleasant, surly waiter. Our guide was pleasant and helpful, but spoke too much, in a confusing way. Although we had a rough start with Niksa not showing up on time, he made up for it in spades! It was a day that we will all remember. He made it so special and he has such knowledge of the Yugoslavian and Croatian history. He is a special guide who takes his job very seriously. Great day with Niksa which will not be forgotten. Unfortunately our ship was a little delayed but Niksa was able to get us through the checkpoints and pack everything in that we wanted to see. He provided just the right level of information and clearly had a wonderful passion for history and telling the story. We did a lot of driving but made several stops during the trip to break it up and had probably our best snack of our trip that Niksa picked up for us. Niksa and Anna were fantastic tour hosts! We toured parts of Dubrovnik with Niksa and Anna walked around the castle teaching us its history. What was extra delightful was that Anna grew up inside the walls, which added such an authentic and personal touch. Please make sure you see the city from above...it is such a great panoramic view from the mountains above the city. Niksa gave us an unbelievably great tour. He has deep knowledge about the area and the history of Croatia which he constantly shared with us. We were a group of six and we travelled in Nikes van which was clean and very comfortable. I can absolutely recommend taking a tour with Niksa!! 6 stars for Niksa. He is an excellent and very amenable guide. I should have provided these comments last year, but Niksa was awesome. He customized the tour just for us and we had an opportunity to see the best tourist venues, but also, some off the beaten path locations...very cool! Thank you. Thank You Niksa for going above and beyond your duty as Tour Guide. We all had a fabulous time in Croatia. Many Many Thanks! Niksa and his daughter were very knowledgeable about their home - the day we were in Dubrovnik was very windy and the cable car was not operating - Niksa drove us to the very top for awesome views of the Old City and the coast - we also went to a small coastal town which was charming. Highly recommend this tour - there were six of us in a very comfortable van. Niksa did a great job giving us the history about Dubrovnik. Anna was a delight. We enjoyed her tour through the old town very much and her insight. We would definitely recommend Niksa and Anna to anyone going to Dubrovnik. I cannot say enough great things about Niksa and his daughter Ana. They were able to show us not only the highlights of old town but were able to take us to areas to show how the locals live and areas that were not restored from the war. It was great to get a different representation of Croatia other than the main tourist spots. They are both full of knowledge of the history of the area and also shared their experience of living during the war. This should be a must do on your list! Awesome trip. Great guide for the city tour. The bonus dinner in the local farm outside the city was the best part. Amazing food, wine, and conversation. Highly recommend this tour. Niksa and his daughter, Ana, are the nicest father-daughter guides on earth! We were shown all through the old city by Ana who is a highly educated, brilliant and charming young woman who knows the history of her country inside out. After the old city tour, Niksa met us in his immaculately clean car and drove us to the countryside, the shore, and the mountains. He is engaging and full of knowledge of the history and politics of the old Yugoslavia and the current Croatian country. A fabulous day! Niksa was a great guide. He is passionate about his country, culture and its history. The tour to Montenegro was very special, a highlight of our trip. Stopped for a wonderful lunch on the return. I highly recommend Niksa! Excellent tour, Niska and Ana were brilliant hosts, lovely lunch and a tour that included some out of the way places as well as Dubrovnik old town. Very knowledgeable and friendly guides who tailored the tour perfectly for us. Lovely spacious air conditioned van. Thanks Niksa and Ana. We totally enjoyed our tour with Niksa and his daughter Ana. Ana meet us first and walked us through the old town pointing out all the remarkable places of interest. Niksa then meet us and drove to Cavtat which had absolutely amazing views and with so much knowledge of beautiful Dubrovnik. Niksa also took us to areas not on the itinerary that we requested without hesitation. Even a rain storm on return to the ship was no problem, delivered us right to the gangway. Loved your tour Niksa - The 4 Aussie's! Niksa was an excellent guide, he was extremely, freindly, knowledgeable and a very careful driver. Niska tailored the tour to our requirements and we had a superb day out, highly recommended. Niksa is a wonderful guide, Montenegro, is OK. we did it because my daughter wanted to have new stamps on her passport. It does not have very much to offer, maybe next time I rather take the wine tour with Niksa, because He is really a great guide. Niksa gave us his prespective of the 90' war in the former Yugoslavia, He is very attentive and entretaining. You can't go wrong with Niksa. We just had the most wonderful day in Montenegro, thanks to our guide, Niksa. Niksa was prompt, friendly and extremely knowledgable. He kept the day moving at a nice pace, while allowing us time to enjoy some exploring. To say that he was concerned about our welfare and whether or not we were enjoying ourselves is an understatement. He asked us about our comfort and was very flexible about changing the plan if we wanted to. Niksa gave us a fantastic memory and we feel like he is a new friend. Thank you! Niksa was wonderful! This was hands down our favorite stop on the cruise and a "must go back to" country for us! Dubrovnik is gorgeous, clean and the people are so friendly. Cavtat was a pleasant surprise, definitely worth the side trip. We all loved this port and Niksa and his daughter made it even better with their perfectly balanced tour. 100% recommend!! Niksa is an outstanding, enthusiastic,knowledgeable guide. We took the day tour from Dubrovnik to Montenegro. Niksa was prompt in picking us up at our hotel, and helped us out immensely with the Croatian history. Niksa made sure we were comfortable throughout the tour. Everything he did was handled in a professional, gracious, and friendly manner. We would definitely book with Niksa on our next trip to Croatia. TOUR GUIDE RESPONSE: Dear Estelle and Stuart, Thank you for your kind words, and I really hope to meet again soon. It was a pleasure to spend the day with you and I really enjoyed your company so much. Wish you all the joy of life to you and your family. Sharing painful live story is deeply appreciated. Knowledge of the Yugoslavia's transition to peace and break up is acknowledged. Skillful navigation of the traffic on narrow roads is appreciated. Eating fresh oysters on the fishing boat in Ston as well as walking the walls is still on my to-do list. Perfect way to visit Dubrovnik. Both guides were excellent! We arranged a customized tour through Niksa to cover the normal Mostar trip inclusions but also include Medjugorje and then end with a drop off in Split. Everything went smoothly from booking to execution. Neksa was very friendly and helpful, very clean and comfortable vehicle, punctual, good commentary, very good restaurant recommended in Mostar (can't recall name). Highly recommended. Niksa provided an excellent tour and service from initial preparation of custom tour to execution. Excellent communications by email and whatsapp before tour. Punctual, very clean and comfortable vehicle (we were given a choice of car or van), informative commentary. Highly recommended. TWO THUMBS UP!!! We had the best time we could have ever imagined visiting places in Montenegro thanks to our tour guide Niksa!! Not only he was polite, knowledgeable, on time, good driver, funny, he tried to show us as much as he could in the time we had we him. Every time he could he would tell us what to see, of the history behind it. We all came back praising he has been out best guide ever!! And we were people from 6 different countries! We would recommend him without any hesitation! Niksa and Ana are an animated father and daughter duo who share the tour. 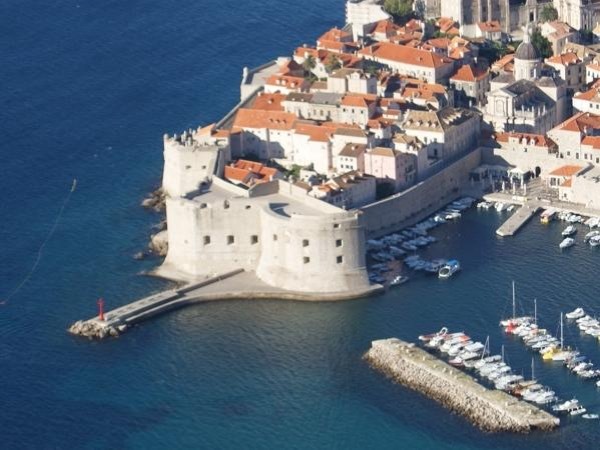 They provide an entertaining, informative overview of the history and culture of Croatia, and particularly Dubrovnik. We received a memorable introduction to this lovely country. This was hands down the best tour I've ever taken! We arrived early & Niksa was already waiting next to our ship's gangplank. Niksa is obviously passionate about his city & clearly enjoyed showing it off to us. He even extended the tour by an hour & took us to a beautiful little village next to a stream. Anna expertly showed off the old city & highlighted Game of Thrones sites for me while still keeping it interesting for my parents. I highly recommend this tour with Anna & Niksa, it was a perfect day! Our guide wasn't just a local, but he was born here and knew everyone. He paced our tour perfectly. It was a perfect day...he met us right at the ship and we spent a very full day with him. It just couldn't have been any better. He shared with us for at least 8 hours, and by the end of the day we had incredible facts about his country. Niksa and his daughter Ana were perfect guides. They were passionate about their country, eager to share their extensive knowledge, enthusiastic, charming, friendly, warm and a pleasure to spend 5 hours with. They made our time in Dubrovnik memorable. Anyone who gets them as guides will be very lucky. We recommend them highly. To get first hand knowledge directly from Niksa and his daughter who live in Dubrovnik was so valuable to our day! The sights and information of Old Town and other areas that Niksa felt we must see were perfect. Was one of our most favorite days of the cruise! Niksa and his awesome daughter Anna took us on a comprehensive tour of Dubrovnik, complete with their personal impressions of the old city, the region and the recent regeneration of Croatia following the Serbian war. They were both spectacular -- it's hard to imagine a better way to see Dubrovnik !! GREAT tour by the best guide in Croatia. Strongly recommended! Cheers, Terry in Fort Lauderdale, Florida USA. Great tour and wonderfully knowledgable and enthusiastic guide. Would heartily recommend to everyone! Niksa was fabulous. We were booked on a 5 hour tour and he met us promptly t 10:00 a.m. The weather turned terrible - as we arrived at the top of the Hill Srdj it was pouring. He took us to a lovely area for lunch to escape the rain and suggested that we postpone the tour of Dubrovnik until the evening. At 5:30 the skies had cleared, we met again together with his daughter Ana who gave us a great tour of the city. When we left them, at the end of a very long day for them it felt as if we were family. A wonderful way to see Montenegro. Our awesome guide recommended we do this by boat rather than car and he was so right! Phenomenal. Car was very clean, safe. He was perfect with kids+adults. Made great suggestions on where to go, what to see, best routes to make trip flow smoothly. Took us everywhere, did not push on time at all. Very knowledgeable and engaged in honest discussion of regional history. And genuinely just a nice guy. Highly recommended! nice lady, I think she was overwhelmed by the huge crowds and noise and as such lost the interest of our children, who eventually just split off on their own. She would be much better in smaller groups than we had of 15. An excellent day - informative and interesting. We had an earlier tour with Niksa to Herzegovina which was great. The trip to Montenegro did not disappoint. If we had more days, we would have visited other areas with him. It was wonderful seeing the country from his perspective. He was also always considerate of our interests and needs. You cannot find a more wonderful guide than Niksa. He knows his Dubronvik and his back lane journey gives an insight to a different Croatia from the touristy facade. He showed us hidden gems of secluded coves and lavender fields. He is informative, friendly and with a care for us that was warming. We had a lovely day. And the traditional Croatian dinner he arranged at the caves is an experience not to be missed. Niksa and Ana were both very professional , knowledgeable , and enjoyable to spend the day with. When we return I Dubrovnik, we will use their services again.